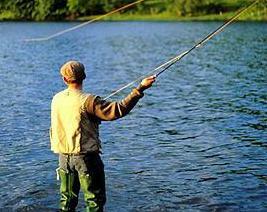 We'd like to hear your views on Moyola Angling Club. Please Sign Our Guestbook to leave your comments in our guestbook about any club maters. This guestbook is moderated. Just to let everone know i recieved an email from leo mc kenna that nie are going to install an electric cable under the bed of the river directly below the main road bridge at castledawson the river will be diverted to allow fish to move on passed. TIGHT LINES TO ALL. Wonderful club, splendid place, delightful anecdotes and exchanges! I've fished for trout as aboy in Pennsylvania, then the Caribbean and Gulf of Mexico from places in Florida, and have lived & fished Chesapeake Bay and Offshore (Maryland, Virginia, and Delaware) for the last 39 years. If I can earn enough cash to visit, I'll bring my wife and look you up - a dream come true. Best to each of you! we would be glad to see new faces at competitions and yes you can spin unless at some off the away competitions which ar fly only. theres a competition tonight,meet in castledawson at 7pm and weigh in is at 11pm any method. Went out after the recent flood and had a superb evenings spinning just up from Forgestown. Caught 3 or four good sized trout and lost what look AND felt to be a salmon or a large dollaghan on a blue/silver size 2 mepp. River was running nice black water so hopefully we get more rain to get the season started. Anyone else having any joy? Anyone know if any salmon up the river to draperstown yet?? As a novice is there any advice about what are the best conditions for fly fishing on the Moyola. Where are the best spots on the river to fly fish? When entering a competition are you allowed to spin? The Watterson cup competition was fished on Monday night. Another good turnout but very few juniors. The winner and first time winner was Anthony O'Hagan with A Salmon of 6lb 3oz, 2nd was Willie darragh and 3rd was Seamus Donnelly. Ahead on the points board is Willie Darragh on 65. Next is Seamus Donnelly on 59. Tommy Mcgrath on 52. Stanley aspinall on 42. Patsy Harkin on 42. Philip Maguire and Joey Oneill on 40. Next competition The T.S.B. Challenge cup is on Monday the 27.7. 09. The clubs competitions on the 8th /9th of August will be on Keenaghan Lake on the 8th and Navar lakes on 9th and we will be staying in Derrygonnelly as last time. Please contact me as soon as possible. My number is on your membership card. Heavy rain forecast for the next few days.... badly needed after the very dry june! Hopefully this will get the salmon moving in our direction! Anyone any reports on salmon / dollaghan so far?? Hi all. I was wondering how thw river is doing at the moment as i was thinking of giving it a go sometime this week. I was at the Mourne the other day, no luck with the salmon, no luck with anything come to think of it. Any way, could do with some good info. Fed up spending money for nothing.